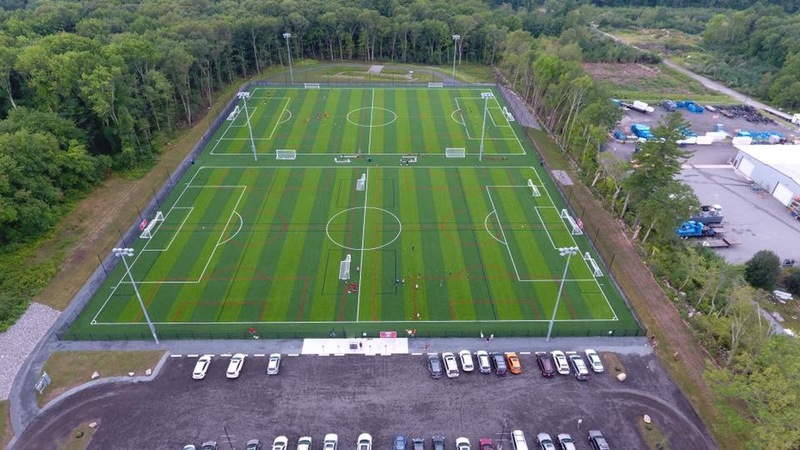 New England FC (NEFC), a 501(c)3 non-for-profit organization with over 100 soccer teams and 3,000 soccer player members, completed its first turf field complex with the construction of an eight-acre, two-turf field, lighted complex in Mendon, Mass. Selection of the Mendon site brings to close a several year search during which NEFC has been looking for a location to build its first owned-and-operated fields. The club spent months getting required approval and working with Mendon officials to develop plans satisfactory to the town and the neighborhood in the vicinity of the new field location. NEFC will use the fields for training its teams of all ages, as well as a home site location for games and events. The fields will be predominantly used for soccer.